I'm going to come straight out and state it--the Garmin vívoactive 3 would be the ideal fitness tracker I've ever employed. It's usually the only I've been expecting that Garmin could make. It has all the features I've always wanted in a single exercise tracker. It's not bad looking, either. Up to today, my 'daily driver' has been the Garmin vívoactive HR. It was a excellent apparatus in lots of ways, however it was not perfect. The screen has been dim; the chassis felt economical; and it was missing several features a part of Garmin's latest models. The vívosmart 3 had exciting new physical exercise detection features and stress observation, but it felt much more economical and lacked a GPS. The vívoactive 3 chooses the best features from all of Garmin's fitness trackers and unites them into a single, well-designed item. Here really is our Garmin vívoactive 3 inspection. Garmin's vívoactive HR was boxy and uneasy. It did not even look anything like a watch. The vívoactve 3 will not have some one of those problems. All vívoactive 3 versions include metal bezels along with Gorilla Glass 3. You can also choose between a polymer or a metal chassis. Whichever style you select, the vívoactive 3 is definitely a fitness tracker you might wear with a great shirt. 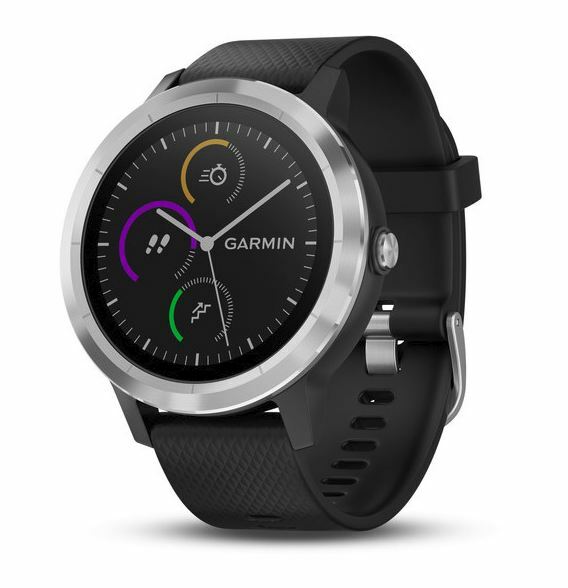 In actuality, this system looks a lot more like Garmin's fenix lineup compared to a apparatus in the vívoactive lineup, with only a couple differences between both. Garmin has determined by a design speech and clearly it had been a fantastic choice. Even the White model looks slightly more feminine compared to the remaining colors so that nobody is left outside, though there is just a single size offered. Even the vívoactive 3 isn't too captivating since the Fitbit Ionic or Apple Watch, however it's the nearest to 'goodlooking' that the vívoactive lineup has ever been. The light and slender chassis is also a great deal more comfortable than previous iterations. One of the most noticeable improvement is that it doesn't have any protrusion for its heart rate detector, helping to make it a million times much more comfortable than the vast majority of other fitness trackers (barring a few of the more svelte Fitbits) also this means there isn't any nasty red mark left on your own arm whenever you shoot off it. In terms of navigation, you not only have the touchscreen but also a side button and also the selection to scroll through things by swiping both sides of this watch. Garmin calls this the 'side swipe' feature. It's helpful for interacting with the device when your palms are sweaty, though it's placed on the inside of the watch (for some people) which makes it awkward to use. There's also the choice to show up the brightness on the display so it no longer looks dull or beaten up. If you'd like to customize your device just a little more, you can also swap out watch bands. Since these are regular 20 mm straps, any standard watch group should fit. In reality, my only complaint with all the aesthetic is that this system looks so much like a typical watch that you can't wear another time-piece without appearing like a doofus. That's a personal thing yet--a lot of people will take pleasure in the switch to the more watch-like cosmetic. Like many other Garmin apparatus, the vívoactive 3 is waterproof up to 50 yards, therefore that you may go on this for a swim without worrying about damage. Be aware that one's heartbeat detector is going to be deterred from the water nevertheless. In addition, it will not offer open water flow tracking; just swimming. This is really a large advancement for your own vívoactive lineup, both regarding aesthetics and relaxation. I really like how it will not seem too jaded under a top and the way that it is able to readily squeeze in to each element of one's own life--because a great tracker should.